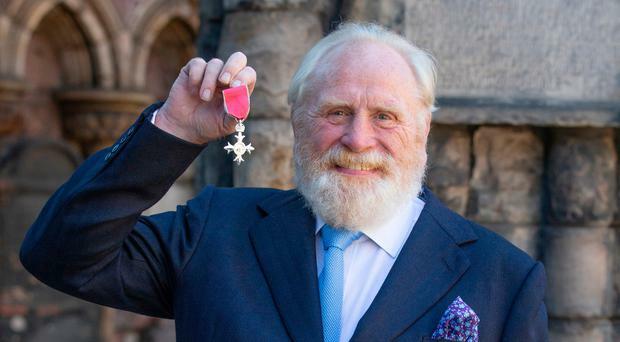 Game of Thrones actor James Cosmo has received an MBE for services to drama. The 70-year-old Braveheart and Highlander star, from West Dunbartonshire, said: “I suppose it’s like a footnote to my career. TV presenter Ross King was also awarded an MBE for services to broadcasting, the arts and charity. The LA correspondent for ITV breakfast programmes Lorraine and Good Morning Britain said he been given congratulations from a raft of stars over the honour. The big names include Catherine Zeta-Jones, Michael Douglas, Gerard Butler, Lulu, Jane Seymour, Gary Barlow and Dame Joan Collins.